With the top three finishers from the opening Britcar race at Silverstone giving this weekend’s Oulton Park race a miss, the early-season form book can be torn up. The Handkammer / Leslie BMW, McCormick and Lockie’s Ferrari, and the Eurotech Porsche of Slater and Sumpter won’t be present in Cheshire, so will the way be clear for Richard Chamberlain’s orange “bitsa” Porsche 935, or the 911virgin.com Porsche 911 of Henry Firman and Pete Morris to take an overall win? That’s in the balance, since those missing are replaced by a formidable bunch of newcomers. If you cut across country northwards from Oulton Park, you’ll soon be in Liverpool, home of Tech 9, and perhaps that’s why team boss Phil Hindley is having one of his occasional outings in the driving seat, sharing a Porsche 911 GT3-RSR with ex-PMFC man Rod Carman. Another Oulton favourite, Peter Cook, will be sharing his similar car with usual partner Franck Pelle, and Paul Phillips will be there too, in the black Sunniva example. Some of the V8 Supercar contingent, too impatient to wait for the delayed series opener at Snetterton next month, will race within the Britcar GT3RS class, headed by proven race winner Adam Sharpe, in the ASM Ford Falcon, co-driven by the team’s ace spannerman, and saloon racer George Haynes. Nigel Mustill will be racing his Opel V8 Star with Steve Hall, and the V8s are completed by Rob Compton’s 6.6 litre Vauxhall Astra. 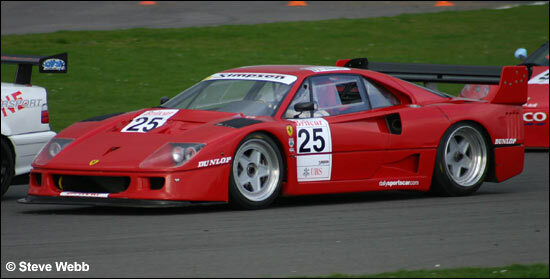 The Simpson Motorsport Ferrari F40 had a disappointing season last year, crashing on the first lap of the Silverstone opener, and failing to make the grid at Oulton, so let’s hope for better luck this weekend. Jacopo Sebastiani and Anthony Mott will be doing the honours. Further Ferraris, two from JMH Automotive, for Phil Burton / Adam Wilcox and Oliver Morley, and the black Damax machine of Davids Back and Foster, will be up against the Porsches of Michael and Sean McInerney and Steve Bell / Mike Wilds in the GT3 class, and maybe – if it’s ready – the new BMW GTR of Don Grice and Jamie Wall. The aforementioned Firman and Morris took the honours in the GT Cup class at Silverstone, the burly midlander’s bull-necked performance paving the way for the Uxbridge Porsche dealer’s uncompromising second stint. 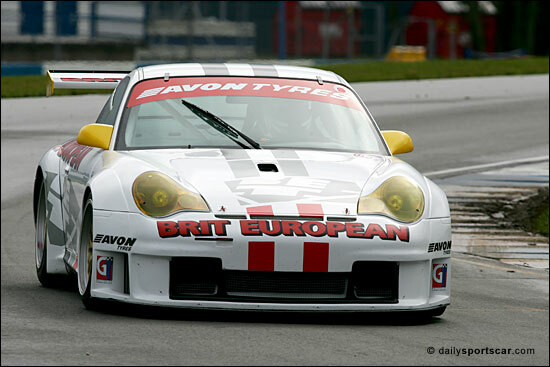 Morris has also threatened to try his own Porsche Cup machine out, which could lead to an interesting strategy. 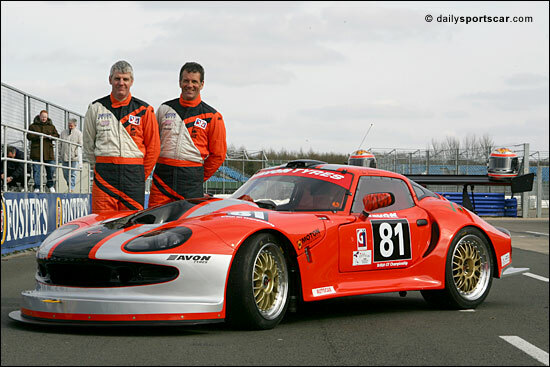 Topcats will field a Marcos apiece for Mick Mercer / Richard Fores and Rupert Bullock / Jon Harrison, with the similar car of Scottish garagiste Colin Simpson, and, very welcome, Team Tiger’s heavily-developed example, Chris Beighton and Jon Finnemore getting ahead of the game in advance of the Easter BGT meeting. The big surprise at Silverstone was the stunning performance of the Metcalf Motorsport BMW 320i STW, Mark Cole seeing off most of the GT cars until an oil leak caused retirement. The ten year old, ex-German Touring Car Championship machine is in the hands of Mark Smith and David Cuff this time out. Jeff Wyatt, the peripatetic Milton Keynes stationer (and Welwyn Garden City art gallery owner) teams up with Tony Rodriguez in the ersatz BMW GTR E46, and Brown, White and yellow are the colours of springtime for Butler Motorsport, Tony and Ian once more in charge of their maxxed-up BMW M3. Juno took four of the top five places in the Britsports race at Silverstone, Andy Schulz turning in a spectacular solo performance in the works-backed silver car in tricky conditions. Car owner Mike Roberts teams up with Simon Parker this weekend, backed up by the older machine of Rob Oldershaw and Richard Gomes, and the CN-spec Class 2 car of Sam Alpass and Brendan Deschamps. Pit Bull Racing’s Tony and Simon Freeman will be out in their now-supercharged Radical Prosport, and Steve and Will Hodges return in their Pedrazza. Is it Pedrazza or PRC? dailysportscar’s Austrian correspondent, Johannes Gauglica, insists it’s PRC, and no doubt he’s totally correct, but Pedrazza is the favoured name by the car owners, and the EERC fraternity, so we’ll have to agree to differ! 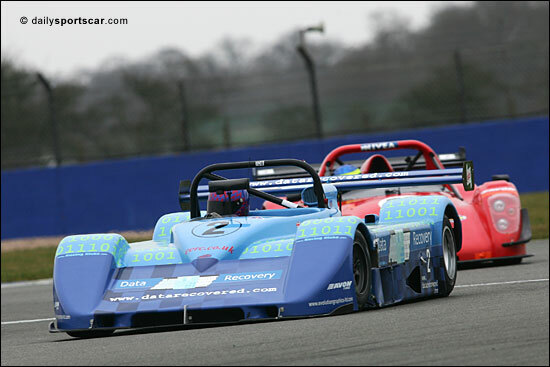 Forever the haven for the unusual, look out too for Howard Spooner’s Formula X-based FX-Blower, the motorcycle-engined Speads, and the Mark Pashley / Chris Ward Bicknell, the surprise polesitter at Silverstone. 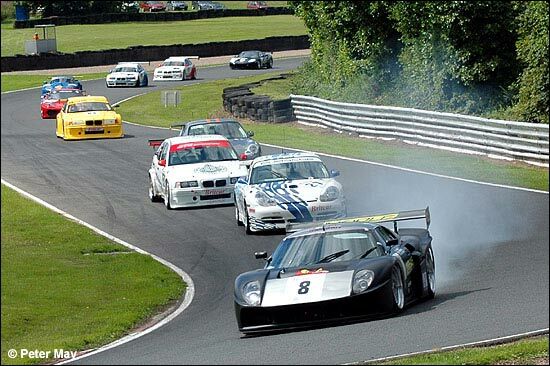 ProductionS1 completes the programme, Joe Macari partnering novice Ben Aucott in the GTS Motorsport BMW M3, and erstwhile GT racer and ’Ring instructor Phil Bennett sharing the duties with John George in the Mardi Gras Honda Civic. 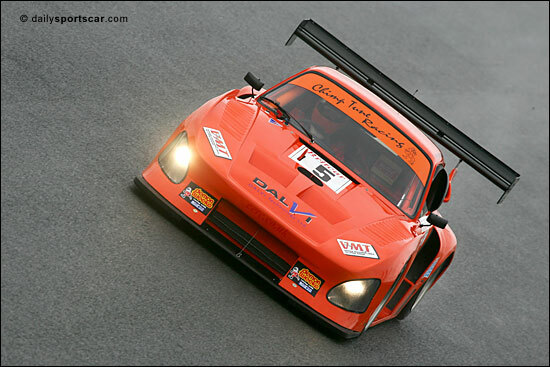 Britcar races for two hours, starting at 13.10, Britsports at 15.20 for 60 minutes, finishing with PS1 for two hours at 16.30. Finally, the EERC would like to wish the best of luck to their competitors of the recent past who are competing in the LMS in Istanbul this weekend; Martin Short, Gareth Evans, Mike Newton, Juan Barazi, Peter Hardman, Tim Greaves and Lawrence Tomlinson.